Bernafay Wood British Cemetery is situated alongside the D197 near the north west corner of Bernafay Wood, about half a mile across the fields north east of Montauban. 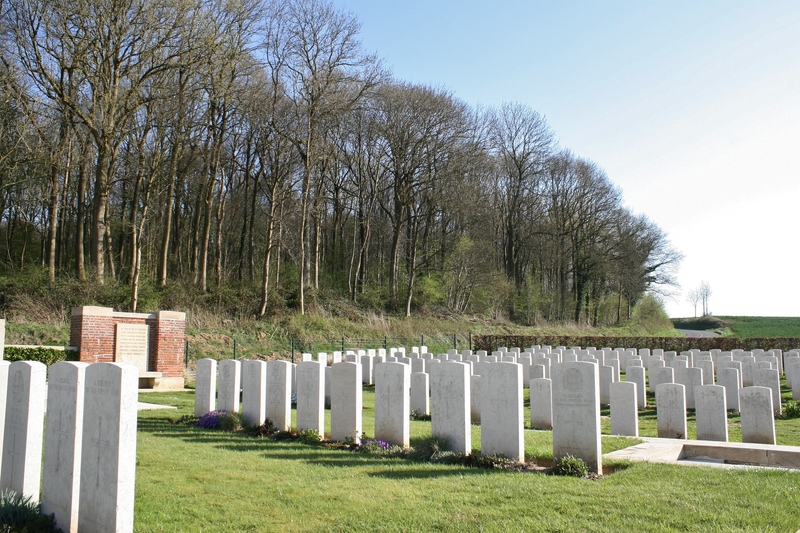 Following the capture of Montauban by the men of 18th & 30th Divisions on 1st July 1916, Bernafay Wood was taken by 9th (Scottish) Division on 3rd July at a cost of precisely five casualties, the Germans having already vacated the wood. 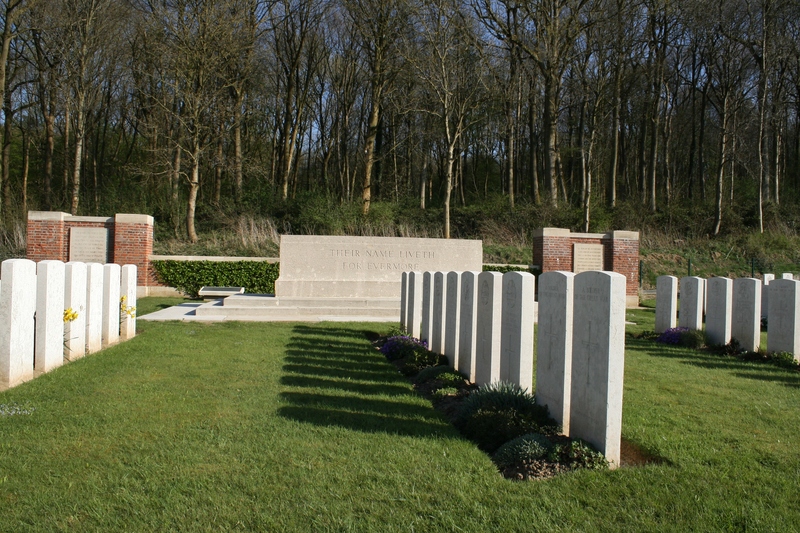 Trones Wood, a few hundred yards east of Bernafay, would prove a different proposition, 18th (Eastern) Division suffering some 4000 casualties before it was taken nearly a fortnight later. 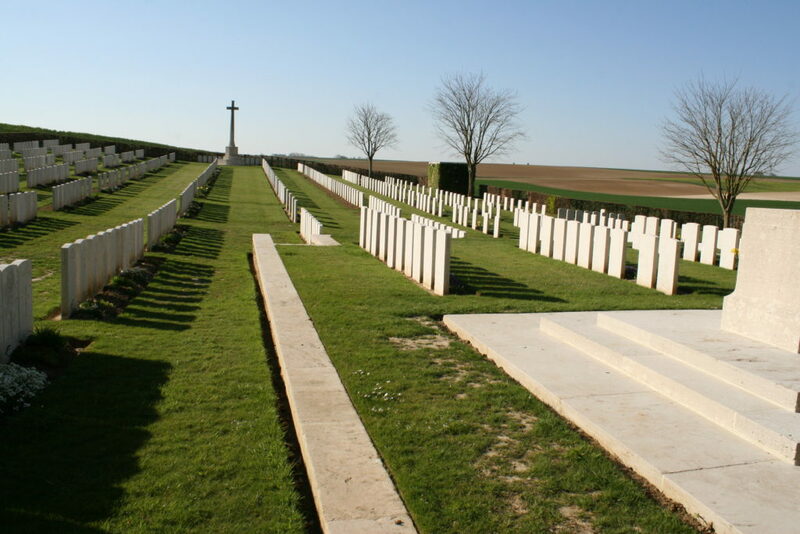 The cemetery was begun around a dressing station that was set up here in early August 1916 as the fighting slowly moved away to the north east, and it was used until April 1917, by which time there were 284 burials here. 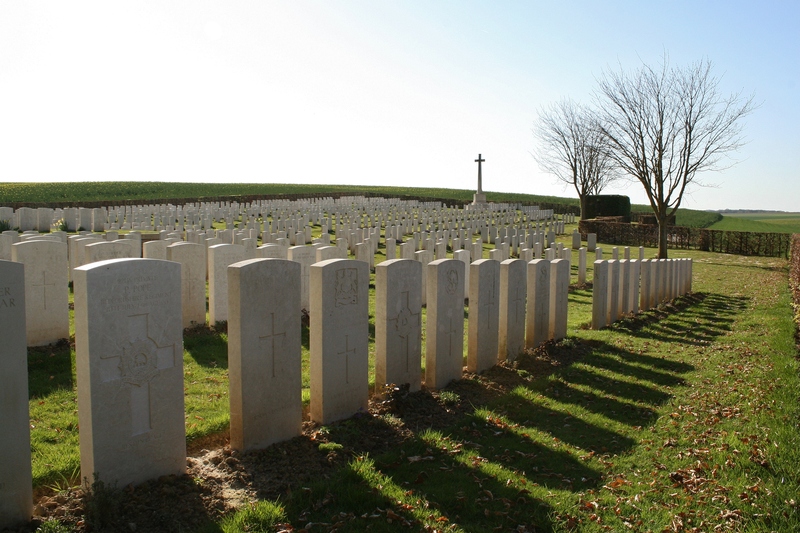 Following the Armistice the cemetery was increased in size as men buried on the battlefields to the east of the wood, and all eighty burials in Bernafay Wood North Cemetery, originally sited a few yards up the road at the very north of the wood, were brought here to be reinterred. 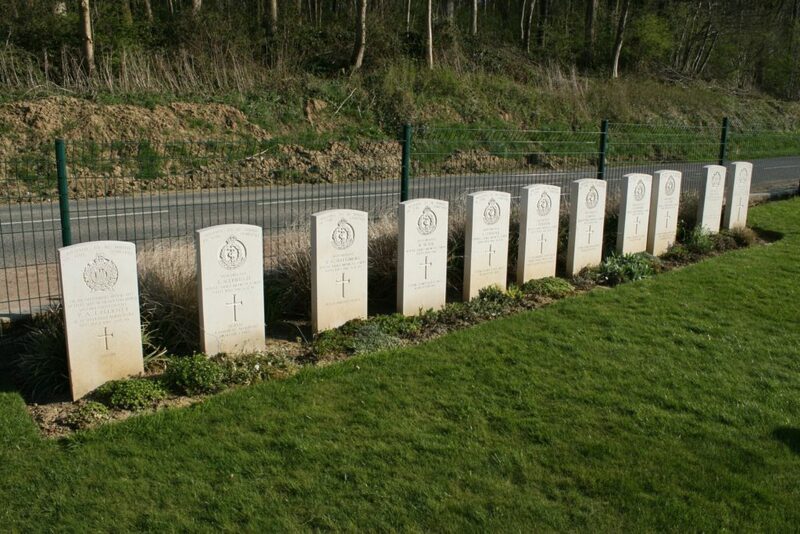 Beyond the Cross of Sacrifice you can see a row of special memorial headstones remembering twelve soldiers originally buried in Bernafay Wood North Cemetery whose graves were lost due to shellfire. 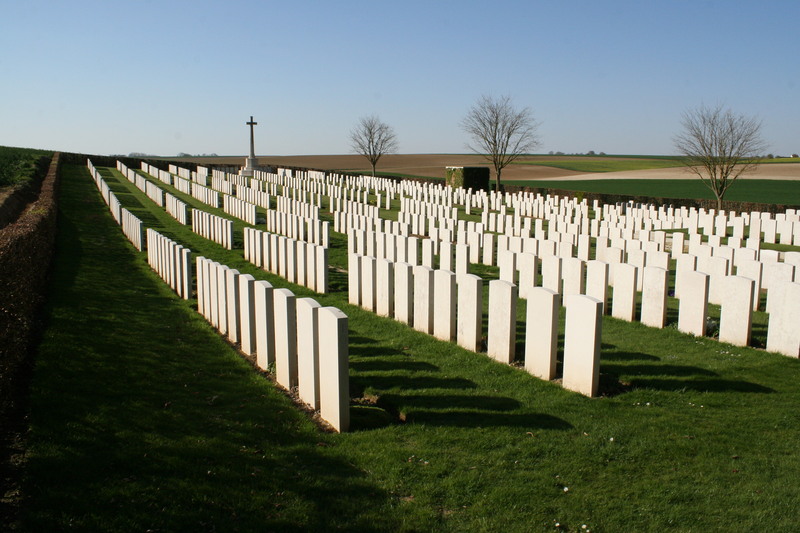 There are now 945 burials and commemorations here. 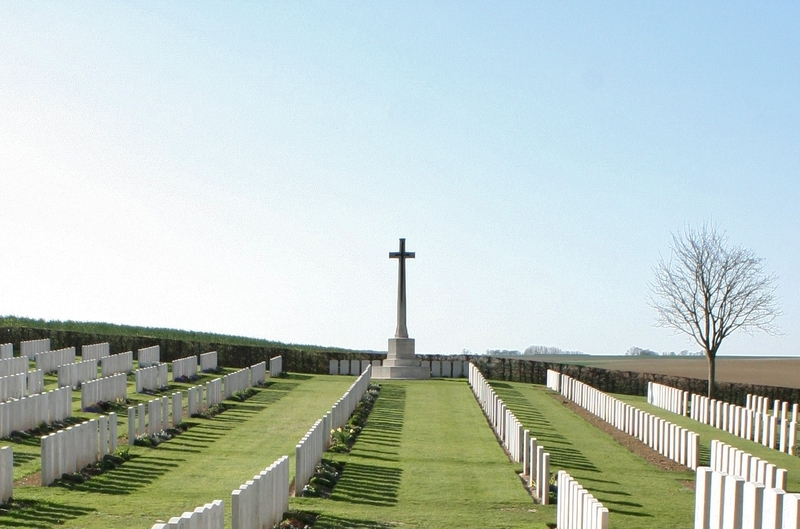 Here’s the cemetery plan, courtesy of the CWGC. 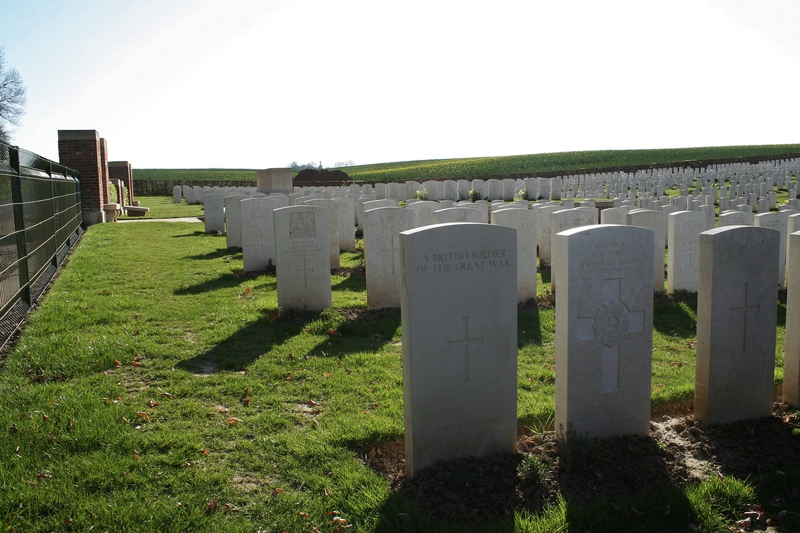 More than 400 of the burials here are unidentified, the majority men brought here post-war. 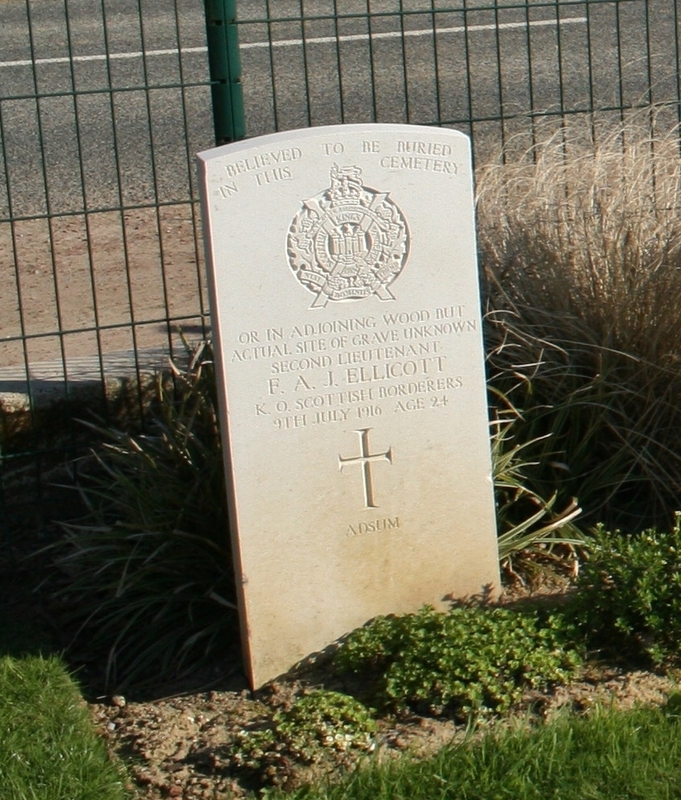 …one of the more unusual headstones you are likely to find. …the road to Longueval and Delville Wood, visible on the horizon, stretching away into the distance on the right. 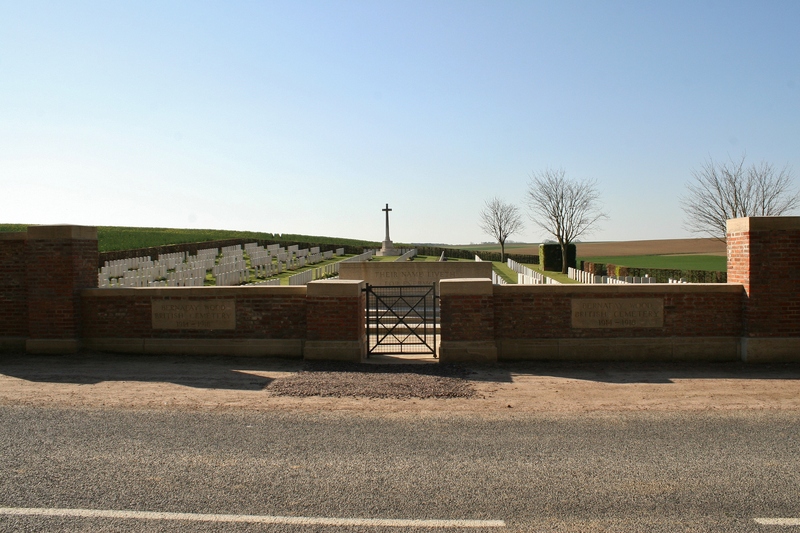 Looking back down the road towards Montauban; none of the casualties buried in the cemetery died during the fighting for the village despite the post-war concentration of graves here, but many of these men were killed in the subsequent fighting to the east, and in particular the vicious fighting for Trones Wood. On 25 March 1918, as the Germans moved westwards, 9th (Scottish) Division, the same division who had captured the wood twenty one months earlier, were tasked with its defence, but the German advance at this time proved unstoppable, and the wood was lost. It was recaptured for the final time by 18th (Eastern) Division on 27 August 1918. 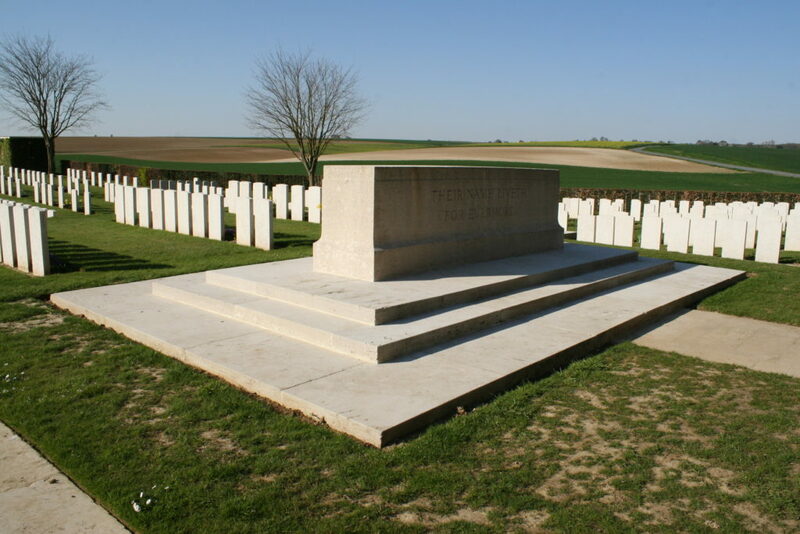 By the way, if you’re interested, I have added a considerable amount of information about the early fighting around Montauban, when the French briefly took the village from the Germans in September 1914, to the previous Montauban post since it was published the other day. 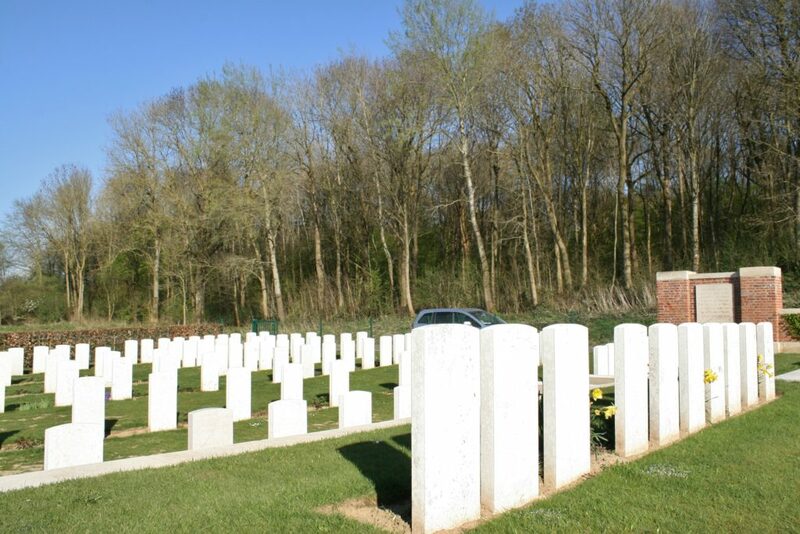 Is there still a Bed and Breakfast operating within Bernafay Wood? I’ve just spent 3 nights there and Christine, the host, is a lovelly lady. 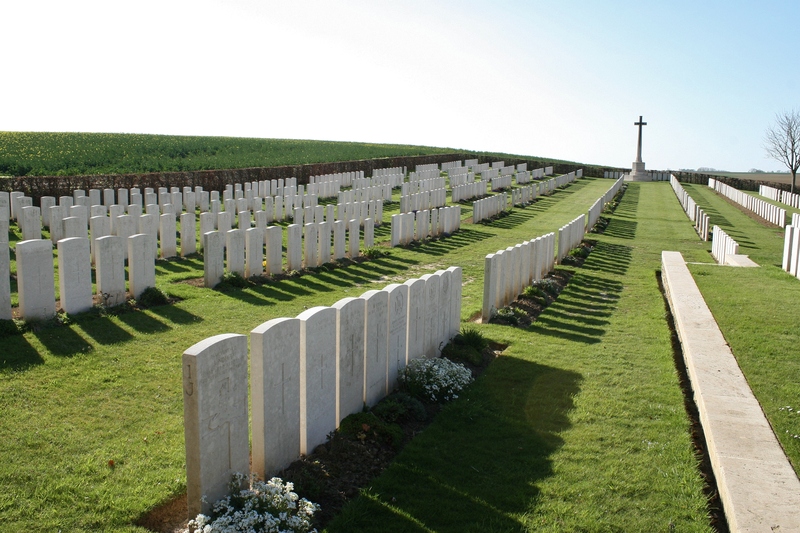 Don’t expect a 5 star hotel, it is a period building with period furniture, but it is an ideal base for visiting the Somme Battlefields. 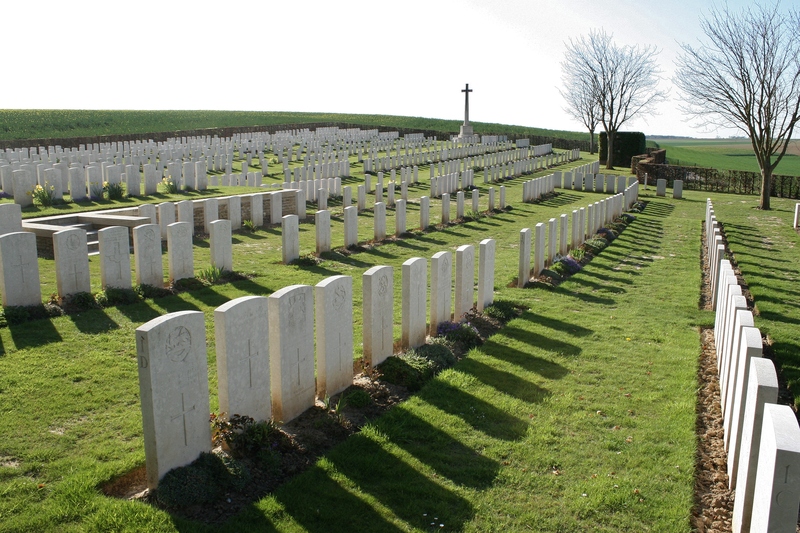 I went on the centenary of my Great Uncle’s death in Bernafay. Would definitely recommend a visit. Hi Glyn. 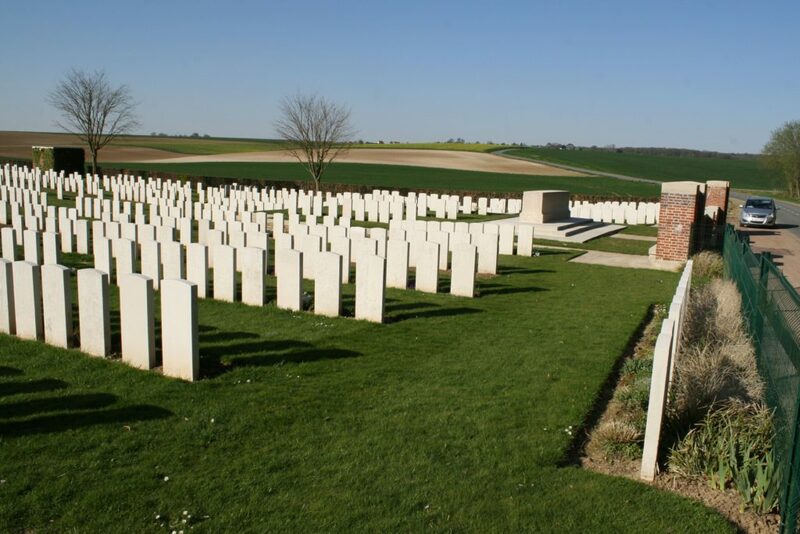 Well, I can’t think of anywhere better situated for a Somme trip. I can imagine that quiet reflective evenings in the wood must be quite something.